[PDF] Electric Power Substations Engineering (The CRC Press Electric Power Engineering Hbk, Second Edition) | Free eBooks Download - EBOOKEE! Description: Electric Power Substations Engineering provides a comprehensive overview of substations, from their fundamental concepts to their design, automation, operation, and physical and cyber security. 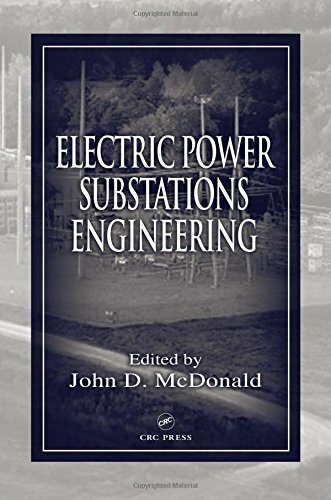 Each of its 18 sections is authored by leading members of IEEE's Substations committee and written as a self-contained tutorial, complete with industry standards and references. The book's organization and level of detail make it ideal for electric power engineering professionals looking for in-depth design information and for other engineering professionals needing general information on a particular topic. No comments for "[PDF] Electric Power Substations Engineering (The CRC Press Electric Power Engineering Hbk, Second Edition)".